Item5 - Victor Adrian with Henry Dueck. Item6 - Victor Adrian retirement (MB Missions/Services). 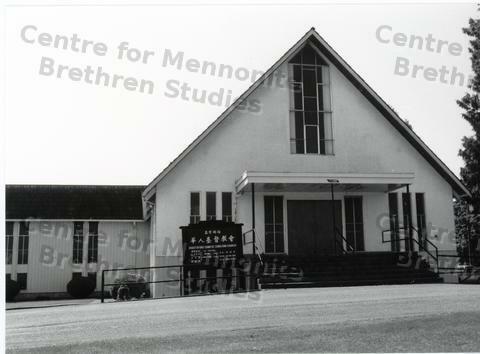 This photo is of the front of the Abbotsford Chinese Christian Church building.